Begonia Dragonwing Pink - Brad's Bedding Plants, Inc.
Dragon Wing delivers excellent garden performance across a wide range of conditions,. With a unique beautiful arching, pendulous habit, this spectacular plant adapts will to haning baskets, large containers and in-ground plantings. Outstanding heat tolerance provides lush, vigorous growth. 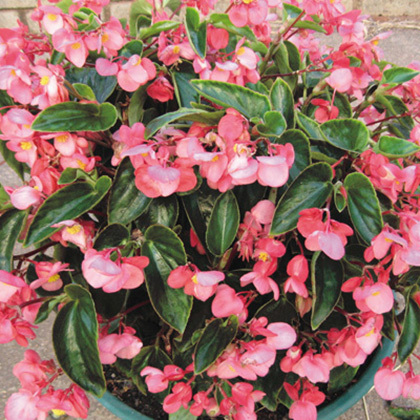 Dragon Wing offers a dramatically different look from standard begonias. Dragon Wing grows 12 to 15” tall and spreads up to 18”.